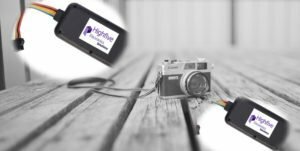 Highfive Security Solutions are used with Mobile phone based on video and audio surveillance alarm system. Which is a set of intelligent security system into the civilian field, the system integrates the mobile phone App and anti-theft alarm monitoring system. B. Local memory can be loaded with video and audie files from IP cameras. C. Ethernet, Wireless connectivity, inlcluding Wi-Fi. Bluetooth, RFID can be worked with it. D. IP Camera can be managed by App, and the same time you can need contral everything from detector alarm system. When illegal personnel is going to a restricted area area, the host system will, it’s the first time, inform the user with calling, SMS or Others! As the user receives messages or others, they can use the phone or computer for to review the area of monitoring. To eliminate the traditional monitoring system and belated effort out of concerns false alarm system! The system integrates PIR/wire/wireless and other sensors, for example, smoking alarm accessories and other wireless information, effectively improve the characteristics of the civilian monitoring system. Our security team is specializing in mobile video surveillance products, IP Cameras, etc. these products of the supporting mobile phone software, guardian angel, and video surveillance and home alarm linkage to SMS or phone calls. The product is also a smart home security monitoring anti-theft system: the system is network. Local memory 24 hours video, offsite can be through the Internet mobile phone or computer can watch and operate all home monitoring screen. The system comes with a wire/wreless alarm module, matching wire/wireless sensors, detectors, smoke detectors, wire/wireless alarm devices, when someone broke into the monitoring area, the system will automatically call, send SMS, e-mail to the specified 4 mobile phone users, at the same time, the local will produce sound the siren. As users receive the alarm information through the Internet, telephone or mobile phone computer view monitor screen, and through the App to control the camera rotation angle and focal length, disarming alarm system, start at the same time mobile phone video function and alarm processing.